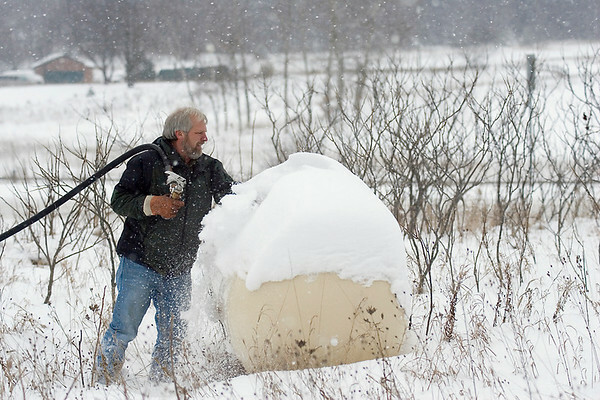 Matt Stevens, owner of Stevens Propane, prepares to put propane into a propane tank during a snowfall in Buckley. "Our business increases about 80% in winter," Stevens said. "And in the summer, we're waiting for winter," Stevens explained.